Tennessee, North Carolina, and Wisconsin have already enacted comprehensive new campus speech laws with varied provisions. Similar proposals have been introduced or are under consideration in Michigan and Illinois. 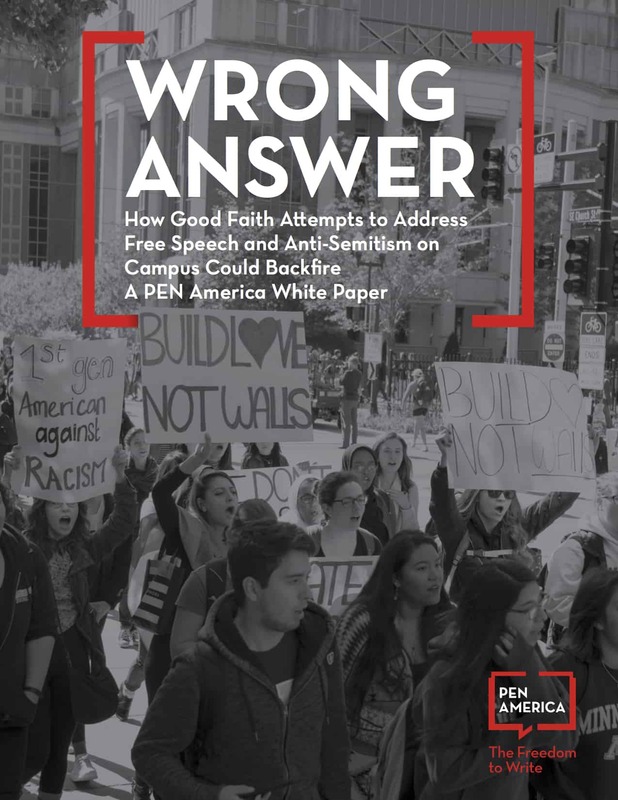 In “Wrong Answer: How Good Faith Attempts to Address Free Speech and Anti-Semitism on Campus Could Backfire,” PEN America speaks out in response to a spate of legislation and legislative proposals at the state level that are aimed to buttress free speech protections. In all, the whitepaper analyzes a dozen proposed or passed state bills. It also addresses the Anti-Semitism Awareness Act, a bill that was passed in late 2016 by the U.S. Senate. While the bills are intended to foster respect for civil rights and open expression, and contain certain elements that would advance these objectives, the whitepaper raises concerns about specific provisions that pose serious risks for free speech. With respect to state-level legislation aimed to enforce free speech protections on campus, the organization outlines concerns that “mandatory minimum” punishments—including year-long suspension or expulsion—for repeated conduct judged to interfere with vaguely-defined “expressive rights” could be used to deter and discipline peaceful protesters. 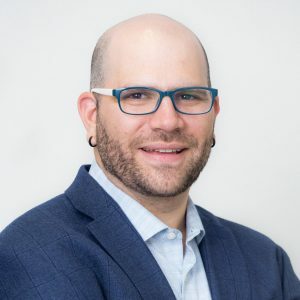 The Anti-Semitism Awareness Act, which adopts a definition of anti-Semitic speech that the whitepaper says “invites schools to look at speech that is critical of Israeli policies as a possible violation of civil rights law,” could chill a broad range of campus discussion and expression, including speech that may encompass no anti-Semitic taint at all.